The Datsun 260Z was the second iteration of the first generation of ‘Z’ GT coupes to be produced by the Japanese marque. Built between 1974 and 1978, the 260Z replaced the outgoing 240Z, and brought with it a number of changes both mechanically and stylistically. For a start, the 2.4lt inline six-cylinder motor used in the 260’s predecessor was stroked to 2.6lt, hence the 260 moniker. The motor, now called the L26, produced 122kW and 213Nm. The appearance of the 260Z changed noticeably, both inside and out, and these alterations included a redesigned dashboard and centre console, new seat and door trims, a redesigned taillight configuration and much more. Power from the inline six donk was sent to the rear wheels via either a four-speed manual, which the car came as standard with, or there was the option of a three-speed automatic transmission. What’s more, because the 260Z only weighed around 1200 kilograms, the punchy six enabled the car to accelerate from naught to 100km/h in 8.0 seconds before motoring on to a top speed of 204km/h. 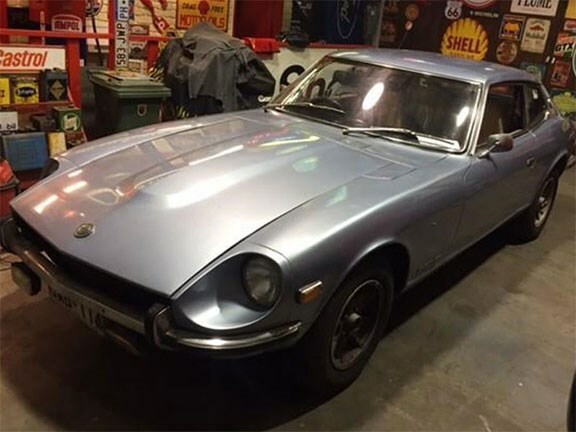 This 260Z comes with the optional three-speed automatic transmission and, according to the seller, is in great original condition. The 26-ounce car is $15,000 and anyone interested in this iconic sports car can view the full listing here.